Theatre is “the perfect place” to explore relationships between Indigenous and non-Indigenous people, says an internationally acclaimed playwright, dramaturge and director. 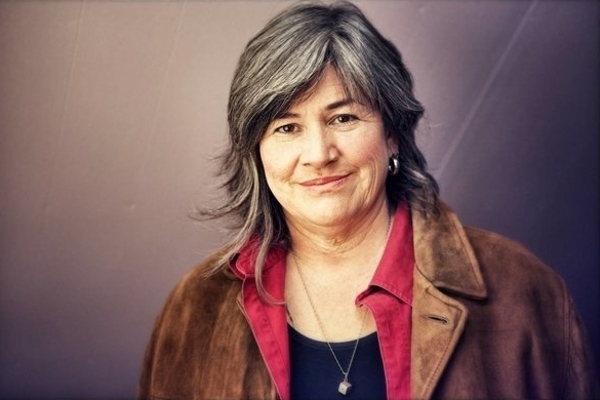 “Theatre is all about relationships, and how we move from conflict to conciliation, so of course it is the perfect place to explore the relationships between Indigenous people and Canadians,” said Yvette Nolan. “Theatre is about creating empathy—and, right now, the world could use more empathy to understand how we got to this moment, how we move forward from here,” she added. Nolan has been teaching within the College of Arts and Science’s Department of Drama and the wîcêhtowin Aboriginal Theatre Program, as part of the Interdisciplinary Centre for Culture and Creativity (ICCC) Aboriginal Fellowship in Creativity. The focus of the fellowship is reconciliation between Indigenous and non-Indigenous people within the context of theatre art. “I tell my students that theatre is critical in this day and age, that we have a responsibility to the stories we tell,” she said. On March 7, from noon to 1 pm, Nolan will give a public talk at the John Mitchell Building called “The Secret of Joy: Re-claiming Rita Joe.” Nolan, an Anishinaabe woman, will reflect on her experience directing George Ryga’s play The Ecstasy of Rita Joe for the National Arts Centre (NAC), 40 years after the NAC opened in Ottawa in 1969 with a production of the show. “There has been much discussion about how Rita Joe is the story of an Indigenous woman, but told by a white man. George Ryga was a Canadian of Ukrainian heritage. Bob Wallace, the theatre scholar, called it the first truly Canadian play, because it was commissioned for the centennial, because it looked at the problematic relationship between First Nations and Canadians,” Nolan said. “My history with Rita Joe goes back to the Royal Winnipeg Ballet’s production in 1971, which is when I saw my own experience, my mother’s experience, on stage for the first time,” she added. In the play, Rita Joe is a young Shuswap woman whose life comes to a tragic end after she leaves her reserve to find work in the city. Although The Ecstasy of Rita Joe first premiered decades ago, “nothing has changed for so many First Nations people,” said Nolan. “We are still dealing with poverty, with communities that have little or no economy, with racism, with overrepresentation in the criminal justice system,” she said. However, theatre offers a way for Indigenous and non-Indigenous people to discuss and examine some of these issues, said Nolan.